Members of county assemblies have a found a new method of solving their issues, it seems that debating and discussing agendas in a civilized manner isn't solving anything and so now they have decided it is time for fists to square things. Nakuru Members of county assembly have now joined many other MCA's in the fighting club, grown men and women leaders from the county were recently caught on camera fighting over an issue that couldn't be solved any other way - according to them. 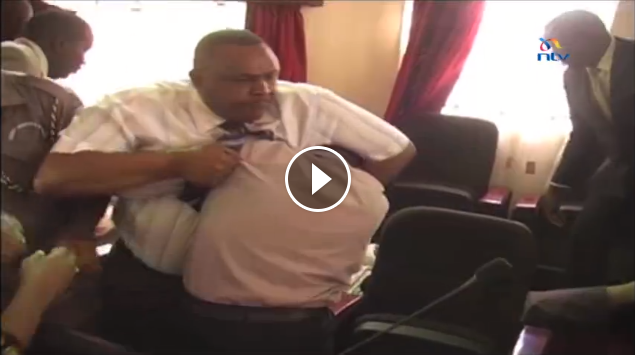 NTV journalist caught the whole incident on camera and it is disgusting and humiliating. Watch it below.